Are you ready to make a statement in your home without breaking the bank? 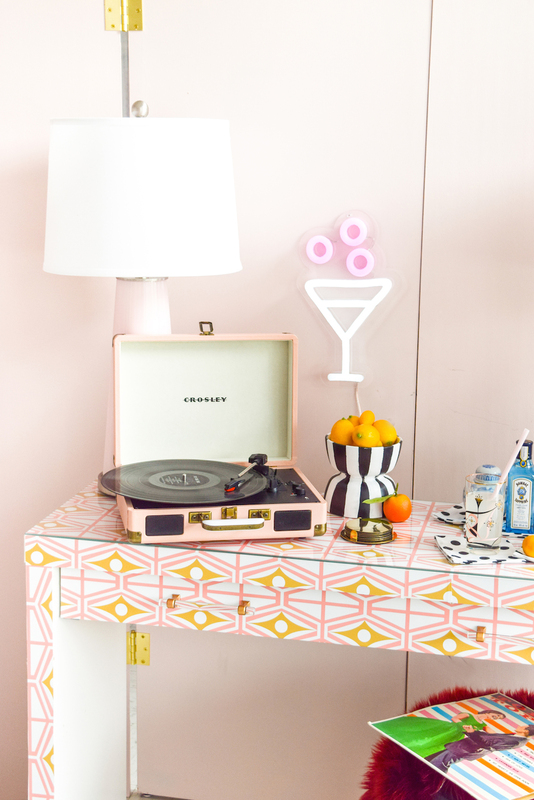 Today, the self-proclaimed “colourwieilding Queen” and blogger behind PMQ for two, Ariel Garneau, is showing how to transform an Ikea® make-up table into a rolling bar cart using 1 part Woven Wallpaper and 1 part power tool mixed with 3 parts creativity. We feel confident that by the time you’re finished with this beginner-friendly DIY project, you’ll have a new favorite accent piece in your home and something to cheers to!